Samsung has reached South Asia and Southeast Asia, but the Korean giant is not done with its Tizen OS expansion plans. Now, the company has its sights set on Iran and the Middle East (West Asia), where it intends to set up a Tizen development centre in Iran and push toward its goal of 100 million users of the company’s mobile platform by the end of next year. Samsung’s goal in establishing its Tizen development centre in Tehran is to ensure that its results lead to localized software, services, and applications that utilize the Persian language so as to appeal to local users. A special team will keep an eye on the trend of the IT industry in Iran so as to know how to meet the needs of local users. Next, the Tizen research and development centre will be responsible for helping to forge crucial partnerships in Iran with developers as well as Iranian universities and the national government itself that are receptive to Tizen application efforts. 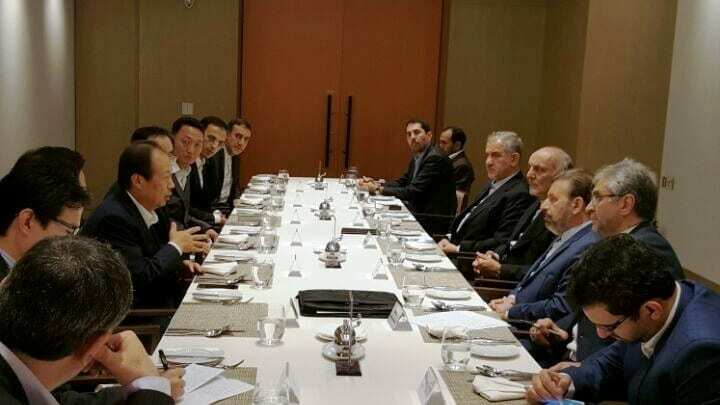 Information and Communications Technology Special Minister Mahmoud Vaezi (محمود واعظی) met at Samsung headquarters in South Korea with the company’s CEO back in August to discuss how to use the market potential of Iran to the fullest. “Given the vast market of Iran and neighboring countries, the opportunities have been provided for investment and production of new technologies together in the field of ICT and established research and development centers in Iran,” said Mahmoud Vaezi in the meeting, as he led the largest companies in Korea to transfer technology and their advanced communications infrastructure. “We are ready to introduce the innovation of our technology to the Islamic Republic of Iran,” said Shin Jong-Kyun (JK Shin), CEO of Samsung Electronics division of IT & Mobile Communications (IM), who represented the company in this meeting. Iran is a fertile place in terms of ICT (Information and Communication Technology), having seen its Internet bandwidth grow to 590% over the last three years while the number of smartphones has soared a whopping 900% in the region. This new upward trend of flooding smartphones has encouraged mobile operators to upgrade their mobile networks from 2G to 4G with download speeds up to 30Mbps in order to meet consumer demand.